Designers and city planners may already be contemplating fewer cars, but human behavior suggests the issue is not just drivers, it's that people prefer their own vehicle - owned or shared, driverless or driven - to the already existing network of buses, trams, light rail, subways, etc. 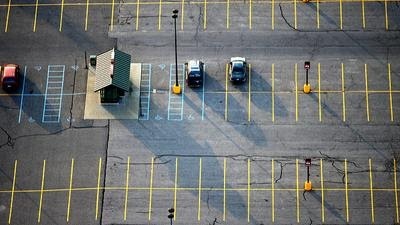 13% of Los Angeles is reserved for parking, while Houston has 30 parking spaces per resident. Cars spend an average of 95% of their days at rest. a shared self-driving fleet could remove 90% of cars from city centres. When demand for driverless cars decreases, they can head to inner suburbs where space is more plentiful and affordable. In the interim, designers are build transition (ing) spaces—facilities that can accommodate cars today, then be reconfigured as the demand for parking diminishes.